Through open discussion, the Public Policy Advisory Committee assists NKF National staff with developing and implementing federal policy positions, priorities, and strategies to best serve the needs of people affected by kidney disease. Members of the committee will serve as an advisory body to NKF staff and each member is expected to provide personal and professional expertise to help inform NKF’s policy positions and execute its legislative and regulatory priorities. Mary Baliker lives in Wisconsin and is a graduate of the University of Wisconsin-LaCrosse, Mary has been a healthcare advocate most of her life. Having been diagnosed with kidney disease at the age of nine, living with chronic disease, having dialysis and four kidney transplants has given her an opportunity to cherish life and given her a strong interest to help improve healthcare. Mary's professional work experience includes the University of Wisconsin School of Medicine & Public Health, Department of Defense Congressionally Directed Medical Research Program, Astellas Pharmaceuticals, and Long Beach Memorial Hospital. Positions that she has held include Organ Procurement Coordinator, Clinical Research Transplant Coordinator, Outreach Transplant Education Coordinator, Transplant Ambassador, and Healthcare Administration in Asthma, Pulmonary Disease, and Cancer. She also has been a patient lobbyist and been involved in legislative work. She serves on the United Network for Organ Sharing Patient Affairs Committee and as a Kidney Advocacy Committee member. 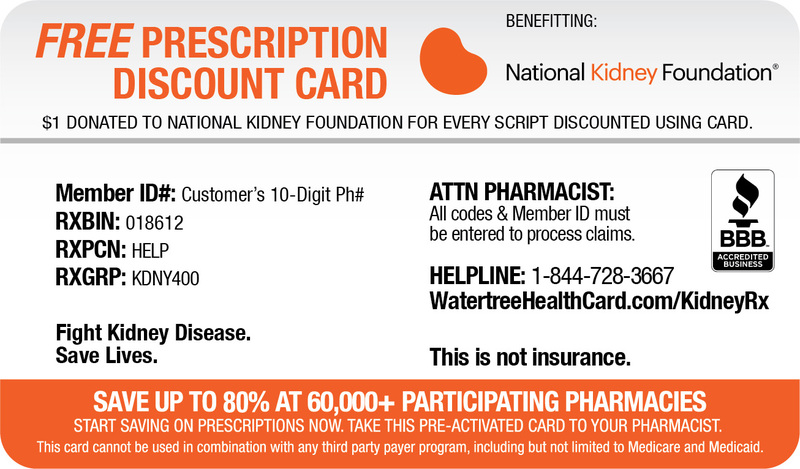 Jeffrey S. Berns, MD of Philadelphia is a Past President of the National Kidney Foundation, Inc. (NKF). Dr. Berns is Professor of Medicine and Pediatrics at the Perelman School of Medicine at the University of Pennsylvania where he is Associate Chief of the Renal, Electrolyte, and Hypertension Division, Director of the Nephrology Fellowship Training Program, and Associate Dean for Graduate Medical Education. Dr. Berns is the Vice Chair of Guideline and Commentaries for the NKF's Kidney Disease Outcomes Quality Initiative (KDOQI). 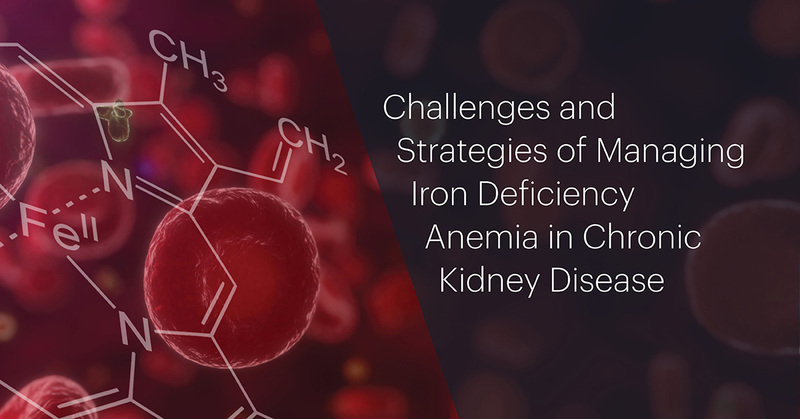 He also served on the KDOQI workgroup that developed clinical practice guidelines to treat anemia. Dr. Berns' research interests include chronic kidney disease treatment, anemia of chronic kidney disease, glomerular diseases, and critical care nephrology. Dr. Berns attended Case Western Reserve University School of Medicine and completed his Internal Medicine residency at University Hospitals of Cleveland. This was followed by a nephrology fellowship at Yale University and Yale-New Haven Hospital after which he was in private practice for 12 years before joining the faculty of the University of Pennsylvania School of Medicine. Dolph was a member of the National Kidney Foundation (NKF) staff from 1979 to 2011. Since then he has served as a Health Policy Consultant to the Foundation. As Vice President for Health Policy and Research, Dolph oversaw NKF's government relations function, including interactions with US Congress, state legislatures, government agencies, and sister organizations. Dolph was also in charge of the administration of NKF's research grant program. He held similar responsibilities with the American Heart Association and (subsequently) at the Associated Medical Schools of New York, where he had been employed before joining the NKF staff. He represented NKF on the Board of Directors of the United Network for Organ Sharing for five years and is currently on the Board of the Kidney Health Initiative, a joint project of the American Society of Nephrology and the Food and Drug Administration. Dolph has been a member of the New York Bar since 1966 and of the New York City Bar Association since 1970. He holds a Master's Degree in Public Administration from New York University. Matt Cooper is Director of Kidney and Pancreas Transplantation at the Medstar Georgetown Transplant Institute in Washington, DC. After receiving his medical degree from Georgetown University , Dr. Cooper completed his general surgery training at the Medical College of Wisconsin followed by a fellowship in multi-organ abdominal transplantation at the Johns Hopkins Hospital in Baltimore. He joined the transplant faculty at Johns Hopkins and was appointed Surgical Director of Kidney Transplantation and Clinical Research in 2003. While at Johns Hopkins, he was instrumental in the success of the division's Incompatible Kidney Transplant Program and the world's first live triple donor kidney exchange in July 2003. 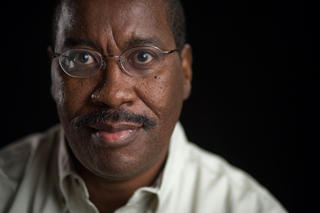 Dr. Cooper joined the University of Maryland in 2005 directing the kidney transplant and clinical research program until 2012 when he assumed his current role at Georgetown. Dr. Cooper trained with the pioneers of the laparoscopic donor nephrectomy and seeks new opportunities for living donation while promoting the safety and long-term care of live organ donors. He is involved in several clinical research projects primarily with an interest in immunosuppression minimization and amelioration of delayed graft function in kidney allografts following ischemic reperfusion injury. Dr. Cooper is extensively involved in the National Kidney Foundation. He serves on the Board of Directors for the NKF Serving the National Capital Area and as a member of the NKF's national End The Wait Task Force and Living Donor Executive Committee. He served as the chairman of the United Network for Organ Sharing's (UNOS) Living Donor Committee and is a member of the UNOS Board of Directors. Dr. Cooper also serves on the Board of the Washington Regional Transplant Community Organ Procurement Oorganization with an effort toward eliminating wastage of deceased donor organs. Sheila Deziel has enjoyed over 30 years working as a nephrology nurse and has experience in hemodialysis, peritoneal dialysis, CKD modality education and a strong focus in education. A life-long learner, she believes in patient centered care and education of the public, patients and their caregivers. Process improvement and systems analysis are areas of particular interest. She has been involved with the National Kidney Foundation on a local and national level; serving as chair of the Council of Nephrology Nurses and Technicians (CNNT) from 2006-2008, Chair of the CNNT Clinical Meetings in 2004, 2005, 2010 and is presently serving as a Director at large with CNNT. In the local affiliate, she chaired 4 years of the successful Bowl-a-thon which was an event for the staff to give back to the patients. She has been active with the American Nephrology Nurses Association and has served as chair of their Legislative Committee. Having had numerous visits to her elected officials both locally and in D.C. she is committed to ensuring that the elected officials are educated on issues affecting nurses, kidney patients and their families..
Erich Ditschman was diagnosed with kidney disease while in high school. Soon after relocating to East Lansing, Michigan in 1999, he lost the use of his kidneys. It would later be determined that FSGS shut down his native kidneys, as well as two transplanted kidneys-one donated to him by his wife, Andria. In search of his best outcome, in 2006, he found a small company making a home hemodialysis machine, and convinced his doctor that this treatment would be best for him. Later he extended his treatment to eight hours a night, five to six nights a week. He joined the National Kidney Foundation Kidney Advocacy Committee in 2016. He maintains a blog and Facebook page entitled, Paddling on Dialysis for Kidney Health, to inspire dialysis patients and others living with chronic illnesses to get outdoors. He regularly visits Detroit area dialysis floors to discuss dialysis options, self-cannulation and living well on dialysis with patients. He has designed and participated in webinars concerning home hemodialysis, and is currently working on best demonstrated practices to train patients to self-cannulate. He also sits on the Advisory Committee for the University of Michigan and University California Safe-HD research project. Jim recently retired from Novartis where he held the position of Vice President and Head of US Public and Government Affairs. With a deep understanding of the political systems and both state and federal levels, Jim developed successful advocacy initiatives including broad based coalitions and strategies in the legislative and regulatory arenas. His distinguished record includes crafting solutions for Medicare and Medicaid reimbursement policy and protecting and creating market opportunities in a wide array of pharmaceutical and medical device markets. He was actively engaged in the Clinton Administration and the Obama Administration health care reform debates. Jim was a long-serving member of the Board of the NKF National Capital Area Division, serving as Chairman in 2005-2006, and Chaired the Northern Virginia Golf Tournament for 13 years. Jim holds a Bachelor of Science degree in Biology from Iowa State University and moved to Minneapolis in 2013. Derek has been an ESRD patient since 1999 utilizing various treatment modalities including transplantation, peritoneal dialysis and in-center hemodialysis. He serves on the National Kidney Foundations (NKF) Kidney Advocacy Committee (KAC) and the NKF Public Policy Committee. He Co-authored, "Navigating The Dialysis System, An Interactive Guide For Dialysis Patients" in 2013. He Is the Vice-Chair of the National Forum of ESRD Networks, Kidney Patient Advisory Council, (KPAC), KPAC Representative to the Forum’s Medical Advisory Council and Member on the Board of Directors. He is the Chair of ESRD Network #17’s Patient Advisory Committee (PAC), member of their Medical Review Board and Board of Directors. Brennan Hart has been involved with the National Kidney Foundation since the mid-1980s, after his son was diagnosed with renal dysplasia resulting from bilateral urinary kidney reflux, and in 1996 he donated a kidney to his son. A long standing volunteer with the NKF Serving the Alleghenies, Brennan has served as Chairman, member of its Executive Committee and Chairman of fund-raising events. He led the effort to bring the U.S. Transplant Games to Pittsburgh in 2008, reconstituted the local Medical Advisory Committee and created the African-American Outreach Committee. With his strong experience in local NKF efforts, Brennan agreed to serve on the NKF National Board of Directors beginning in 2013. Brennan is a Partner at Pietragallo Gordon Alfano Bosick & Raspanti, LLP and serves as Co-Chair of the Professional Liability Practice Group and the Litigation Practice Group. He was elected as Chair of the Judiciary Committee of the Allegheny County Bar Association for 2013 and has been a member of the Academy of Trial Lawyers for more than 20 years. Brennan holds a B.A. degree from Ohio State University and his J.D. from Duquesne University School of Law. Judy has served as Nephrology Dietitian at Dialysis Center Rochester, NY General Hospital since 2007 where she performs nutrition assessments and nutrition education for hemodialysis, home hemodialysis and peritoneal dialysis (PD) patients. Her other key responsibilities include but are not limited to Care Plans and serving as PD Quality Assurance Team Member. Judy has served NKF in various capacities including Chair of the Council on Renal Nutrition (CRN), Region I Representative for CRN and Chair of the Local CRN Chapter. She also served as a reviewer for the Journal of Renal Nutrition and a reviewer for NKF's Professional Education Resource Center. Judy is active in numerous other capacities, including presentations and educational assistance to the New York State Office for the Aging and to the Academy of Nutrition and Dietetics. Haley Newkirk is program evaluation analyst in child welfare with the City and County of Denver. Her work focuses on providing effective and efficient services to children and families in need. Haley went on dialysis at age 14 following sudden acute renal failure. Without an eligible living donor, Haley was blessed to receive a kidney from the U.S. national waiting list after only six months on dialysis. While the cause of her kidney failure remains unknown, her experiences on dialysis and post-transplant inspired her passion for promoting early detection, encouraging organ donation and preservation, and supporting extensive living donor protections to reduce dangerously long transplant wait times. Haley has been involved with the National Kidney Foundation (NKF) since 2015. Haley is a trained patient educator through NKF's Your Kidneys and You program and a patient mentor through the NKF Peers program. Lynne Graziano Morin is a childhood cancer survivor living with chronic kidney disease. A longtime advocate Lynne has served in variety of roles and worked in the non-profit health industry for 25 years. She was the Director of Survivorship for the American Cancer Society, New England until 2003 then worked at the Leukemia & Lymphoma Society until 2015. Her last role at LLS was Senior Advocacy Manager, Northeast. In 2016, she joined the National Kidney Foundation's Kidney Advocacy Committee and serves as a liaison in Massachusetts. Milagros (Millie) Samaniego-Picota, MD, is a professor of medicine as well as Medical Director of the Kidney and Kidney-Pancreas Transplant Program and the Transplant Nephrology Fellowship at University of Michigan Medical School. Dr Samaniego received her MD degree from the University of Panama and was an intern and resident in internal medicine at Baylor College of Medicine in Houston, TX, where she served as Chief Resident from 1993-1994. In 1994, Dr Samaniego started postdoctoral training in nephrology and immunopathology at the Johns Hopkins School of Medicine in Baltimore, MD. During her fellowship, Dr Samaniego received the ASTP-Sandoz Fellowship Award in Transplantation in addition to grant support from the Maryland Chapter of the NKF. Until 2006, she was supported by a Scientist-Development Grant of the American Heart Association. Dr Samaniego is former Associate Editor of the American Journal of Transplantation, has served on the Basic Science, Education, and the Women’s Health committees of the American Society of Transplantation (AST). She has also participated as lecturer (since 2004) and Chair of the AST Fellows Symposium since 2009 and the 2009-2010 AST Winter Symposium. She has been an abstract reviewer for the American Congress of Transplantation for the past 14 years. She has been an ad hoc reviewer for all major transplantation journals since 2000. Dr Samaniego’s clinical and research interests focus on experimental and clinical antibodymediated rejection, desensitization protocols, and the care of highly sensitized patients. Financial Disclosures: Dr Samaniego reports research grants and speakers bureau fees from Alexion Pharmaceuticals and consultant funding from Sanofi and Thermo-Fisher Corporation. Lara has worked as a kidney and pancreas transplant social worker at Rush University Medical Center in Chicago since 1998. She started her career in the renal community at the local Veteran’s Affairs Hospital as part of her graduate program internship where she worked with people in all CKD stages and found her passion. Lara also previously worked as an outpatient dialysis social worker. Lara has presented and written articles for numerous patients and professionals in the nephrology community on transplantation and living donation. After obtaining my bachelor of science in nursing from the University of Memphis, I started my nursing career as a critical care nurse, and quickly transitioned into an acute dialysis role. After 5 years of bedside nursing, I obtained a Masters in Nursing as an Acute Care Nurse Practitioner at The University of Mississippi, with a Nephrology specialty via Vanderbilt University. I am certified as a Nephrology Nurse Practitioner and obtained a Doctorate of Nursing Practice from the University of South Alabama. I spent 3 years in a private Nephrology practice treating dialysis and CKD patients. In 2006, I joined the faculty of the University of Mississippi Medical Center (UMMC). At UMMC, I have clinical, administrative, and academic responsibilities. Clinically, my primary focus is inpatient management and outpatient follow-up of acute kidney injury. I am also active in both inpatient and outpatient quality improvement, and I manage the UMMC Continuous Renal Replacement Therapy program. Administratively, I direct/manage Nephrology advanced practitioners and develop appropriate practice systems. From 2011-2015 I was also the Director for Dialysis services. I maintain a supportive/advisory role to assist the Medical Directors with regulatory issues. Academically, I teach UMMC students, and staff. I also lecture Nationally on various Nephrology and Renal Replacement issues. I participate in multiple clinical trials as a sub-investigator. Arthur P. Pasquarella is the Chairman of the National Kidney Foundation. Dr. Choi is President of the National Kidney Foundation and is associate professor of medicine at Johns Hopkins University School of Medicine, where he served as nephrology fellowship director from 1996-2009. Dr. Choi is trained in Molecular Biophysics and Biochemistry after graduating from the Yale University, and received his Postdoctoral from the Penn Center of Molecular Studies of Kidney Disease, followed by his fellowship training at the University of Pennsylvania School Of Medicine. His clinical interests are primary glomerular diseases and nephrolithiasis. He previously served as education chair of the NKF Kidney Disease Outcomes Quality Initiative (KDOQI) and founded the NKF education committee in 2015. Kevin Longino was appointed CEO of the National Kidney Foundation (NKF) in September 2015, after serving on the national Board of Directors since 2012. Mr. Longino was also a member of NKF’s Executive and Development Committees, and, was the Board Advisor for NKF’s new CKD Intercept initiative. 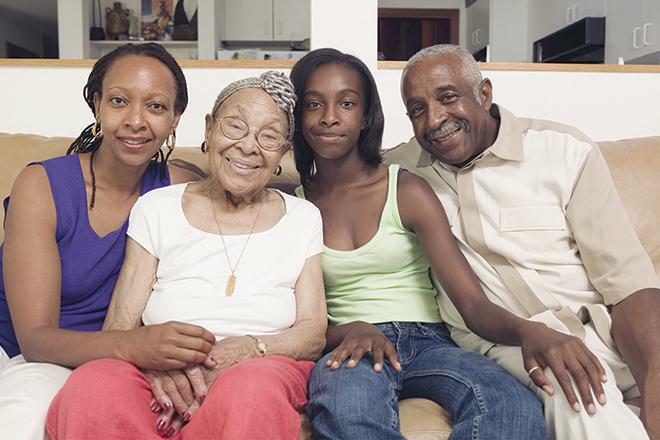 As the third generation in his family to develop chronic kidney disease (CKD), Mr. Longino brings to his role at NKF a deep personal understanding of kidney disease and the importance of prevention, early detection, and better patient care. Kevin’s personal experience dealing with the difficulties of living with end-stage renal failure and life post-transplant has ignited his passion for raising awareness of kidney disease and organ donation. Prior to the NKF, Mr. Longino was an advisor and investor for several angel stage startup technology companies as well as an entrepreneur. Previously, Mr. Longino held a number of product marketing and product management roles at Compaq Computer Corp (1987-2000). He led large-scale operational projects, transforming a global company to an e-commerce model, and played a key leadership role in what was, at the time, the largest acquisition and merger in the high-tech industry. He also created a new business venture for Compaq, which was self-funding within 20 months. Longino earned a post-graduate Diploma in Financial Strategy from Oxford University in 2013, and holds an MBA and a BS in Marketing from Louisiana Tech University, awarded in 1985 and 1982, respectively. Tonya Saffer, Senior Health Policy Director at the National Kidney Foundation (NKF) leads the organization’s efforts to identify, develop, and advance legislative and federal regulatory policies to improve health outcomes and opportunities for kidney patients and enhance health professionals' abilities to prevent, identify and treat chronic kidney disease. Prior to joining NKF Tonya worked at Avalere Health in the company’s Reimbursement and Product Commercialization practice where she advised healthcare companies on how to incorporate policy and market dynamics into their business planning. Tonya earned a M.P.H. in Health Policy from the George Washington University School of Public Health and Health Services. She graduated from Arizona State University with honors and a B.A. in Political Science. Kerry Willis, PhD, NKF Chief Scientific Officer, has been the director of medical and scientific activities for the National Kidney Foundation (NKF) since 1998. She oversees all professional education programs, including the Spring Clinical Meetings, the KDOQI clinical practice guidelines and three peer-reviewed journals devoted to chronic kidney disease. 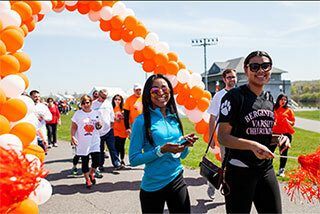 She also directs NKF’s public policy and legislative advocacy efforts. Prior to joining NKF, Dr. Willis was editor-in-chief of the Life Sciences Division of Academic Press. She received her Ph.D. in Molecular Genetics from New York University’s Sackler Institute for Biomedical Sciences. Troy Zimmerman has been with the Foundation since the opening of its Washington, DC office in 1997. As Vice President for Government Relations he serves as NKF's primary contact to Congress. Among the Foundation's accomplishments during this time are the establishment of a chronic kidney disease program at the Centers for Disease Control and Prevention; the creation of the HHS National Donor Assistance Program to assist living kidney donors with expenses related to their donation; passage of legislation to increase kidney paired donations; and extending Medicare coverage of immunosuppressive drugs for kidney transplant recipients. Troy is a member of the Alliance for a Stronger FDA Board of Directors where he currently serves as Vice President. He also represents NKF on the Steering Committee for Friends of the NIDDK and Steering Committee of the Alliance for Home Dialysis.